Stockholm, Sweden, 21 January 2019. Peppy Pals announced today that they have appointment Paulina Olsson, Co-Founder and Chief Marketing Officer, as their new Chief Executive Officer (CEO). A decision that comes as a natural step in the play-based learning company’s continuous growth. “The times ahead are very exciting, and there is no better person to lead Peppy Pals’ future growth and expansion than Paulina whom I’ve worked side by side with over the past three years. With LEGO Ventures as a new partner on board, we have a unique opportunity to accelerate our business”, says Rosie Linder, Founder and CEO of Peppy Pals. Since founded in 2013, Peppy Pals has transformed from a pioneering startup into a well-respected, global brand for children’s play-based social and emotional learning. In addition to ensure that EQ is practiced in every home and school, Linder also wants to bring forth new, empathic role models for kids. “These days, kids’ role models are often superficial vloggers and celebrities constantly talking about make-up or lavish consumption. At the same time, the world is facing some of the most challenging problems of our history. 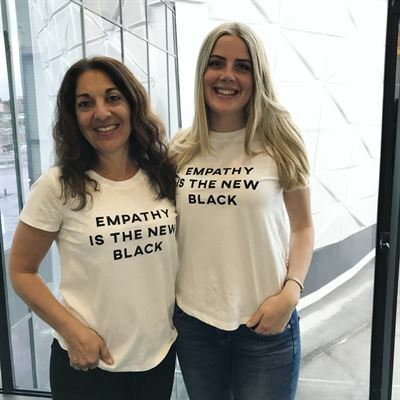 I want to bring forward a new wave of young role models and leaders like Paulina who can inspire the next generation of more empathetic leaders to take on these challenges”, says Linder. Joining the company in 2015, Olsson has spearheaded Peppy Pals growth and marketing strategy, almost tripling their number of downloads with a non-existing marketing budget. Last year, the 25-year-old entrepreneur also had the honor to receive an award from the Swedish King for her value-based leadership at Peppy Pals. “I’m incredibly humbled and honored to take on the role as Peppy Pals’ CEO. I know I have big shoes to fill, which is also why I’m grateful to have Rosie’s support and a passionate team behind me. We all have a strong hunger for greatness, and we are very excited for 2019. With three new product releases coming up, we’ll bring lifelong learning and meaningful play into children’s lives all across the world”, says Olsson. Olsson, with a background in international business, will thus be responsible for the company’s global strategy and operations, spanning their key markets: Nordics, U.K and U.S. Linder who is a majority owner will remain active in Peppy Pals as the Executive Chairman of the Board as well as as Chief Product Officer. Peppy Pals is the leading creator of playful and digital experiences for lifelong, social and emotional learning (EQ/SEL). The award-winning, language-free apps, books, movies, toys and activities designed for children ages 2-8 have proven to be effective in both homes and schools worldwide. By using storytelling and humor, Peppy Pals unique way of learning sparks conversations between children and adults on important social and emotional skills such as empathy, emotions, self-esteem and problem-solving.